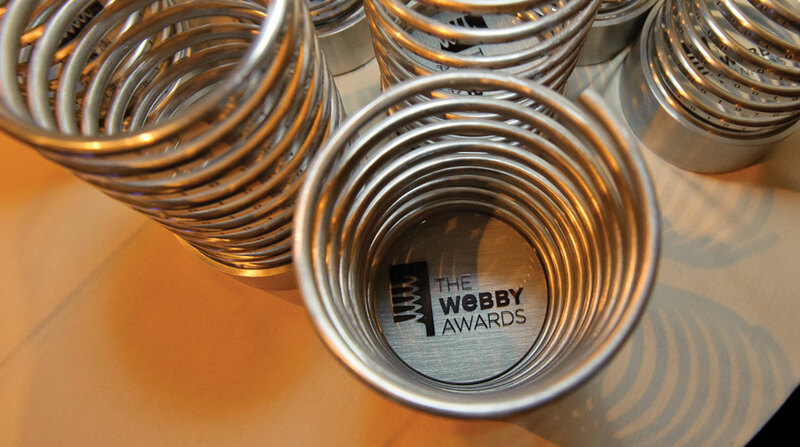 A celebration of the moments when a “Webby underdog” beat out big-name brands and companies for the Webby in their categories. Every year, Webby Winners span the full Internet spectrum: from major global enterprises to startups to individual creators. That’s because all it takes to win a Webby Award is to make truly creative, amazing work on the Internet. See their work below, and get ready: The Nominees of the 23rd Annual Webby Awards are announced Tuesday, April 2nd! Denizen Company was up against pretty stiff competition in the Live Branded Experiences (Video) category, which included work from agency giants like R/GA, BBDO New York, Tool, and DDB & Tribal Amsterdam. But by creating an interactive Star Wars hunt for “The Resistance,” they made an experience that earned the team the Webby and Webby People’s Voice Award in their category. Serious underdog skills. Sport climbing wasn’t seen as popular in Japan, so web production company AquaRing Inc. set out to change that with WONDERWALL, a data visualization and climbing experience. The incredible project took home the 2018 Webby Award for Sports in Games, beating out major organizations like Nickelodeon. Mixtapes are a dying art form, so Canadian agency No Fixed Address brought them back by creating Mixtape of You: a website for users to create personalized, nostalgic mixtapes—and play them on a radio station. This brilliant project was enough to win a Webby for Best User Experience (Advertising) in a category with Spotify, MediaMonks, and more. It’s hard to cut through the noise in food and drink apps. But, Seattle-based company Distiller did just that with their mobile site that reviews spirits. The app was named a 2016 Webby Winner for Food & Drink in Mobile, alongside household names like Epicurious, Tastemade, and NY Times. PRX’s podcast Ear Hustle is full of heart. As a program made by prisoners about the multifaceted lives of the incarcerated population, it captivated the Internet enough to win the 2018 Webby Award for Documentary in Podcasts, proving a small team is deserving of a place next to industry giants like Frontline PBS, Slate, and Google Brand Studio. Many of the best games are being designed by small-but-scrappy teams. Last year’s Webby and People’s Voice Winner in Best Visual Design, Playdead is a shining examples of that fact, rising to the top in a category with well-established games like Monument Valley 2 and Two Dots. Digital platform SoulPancake is known for making “stuff that matters,” and their video series “Tell My Story” is no different. It’s smart, interesting, reveals our biases—and it took home the 2018 Webby Award for Culture & Lifestyle in Video in a category that included media giants like Viacom and VICE. Independent creators are no strangers to pushing the boundaries of an art form. Spoken-word artist Max Stossel and animator Sander van Dijk displayed that by creating The Panda is Dancing, a multimedia film commenting on how technology is impacting our attention spans. They took home a Webby Award for Art & Experimental in Video, in a category that included National Film Board of Canada, Squarespace, and Eko.